Among the therapeutic options of drug-resistant focal epilepsies, surgical treatment is the most effective treatment, provided that the location of the epileptogenic area is identified. Among the imaging modalities, MRI represents the fundamental method for the identification of structural lesions. However, despite the continuous technical progress of the equipment, a significant proportion of patients do not present recognizable alterations with MRI. PET with 18F-FDG is a method of investigation of cerebral metabolism and can be useful to identify the epileptogenic area and the extension of the epileptogenic network. In this pictorial essay, the role of PET is briefly reported and some representative clinical cases presented. In epilepsies of the mesial temporal lobe, PET is useful for confirming the laterality of the epileptogenic area and for confirming the cases of bi-temporal epilepsy, in which surgery is contraindicated, as well as to recognize remote areas of altered metabolism that could change the planning of surgery. In extra-temporal focal epilepsies, 18F-FDG PET can detect focal metabolism alterations indicative of lesions such as focal cortical dysplasia, even when the MRI is negative. However, for the correct interpretation of 18F-FDG, MRI is necessary. With the use of PET/MRI hybrid devices, the best accuracy of PET is obtained, but the use of registration softwares is, however, suitable for the purpose of accurately identifying the cerebral cortex and avoiding errors in the interpretation of PET. 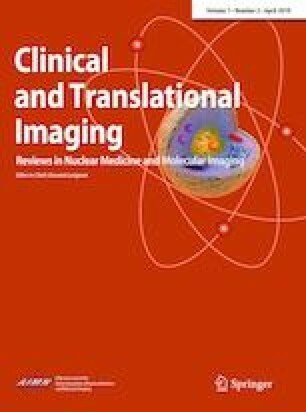 The text describes the protocol for acquiring and recording MRI and 18F-FDG images for clinical use in use in our Department of Pre-surgical Diagnostics. All the authors contributed equally to the literature review, planning, writing of the text, selection and preparation of the cases presented. Angelo Del Sole, Chiara Pastori, Giuseppe Didato and Laura Tassi declare no conflict of interest. All the patients gave written consent to the publication of their PET images in anonymous form.